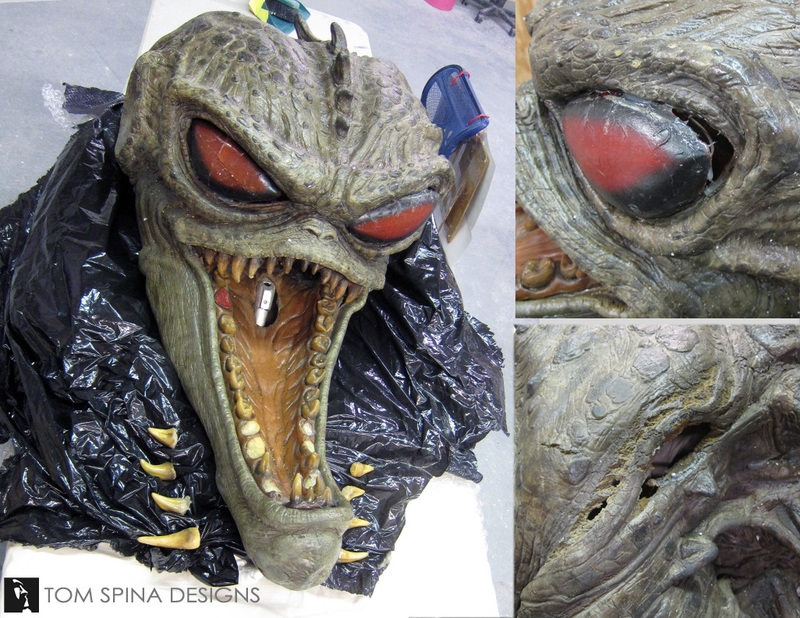 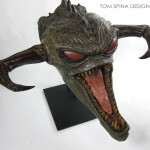 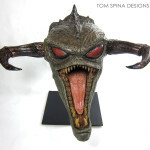 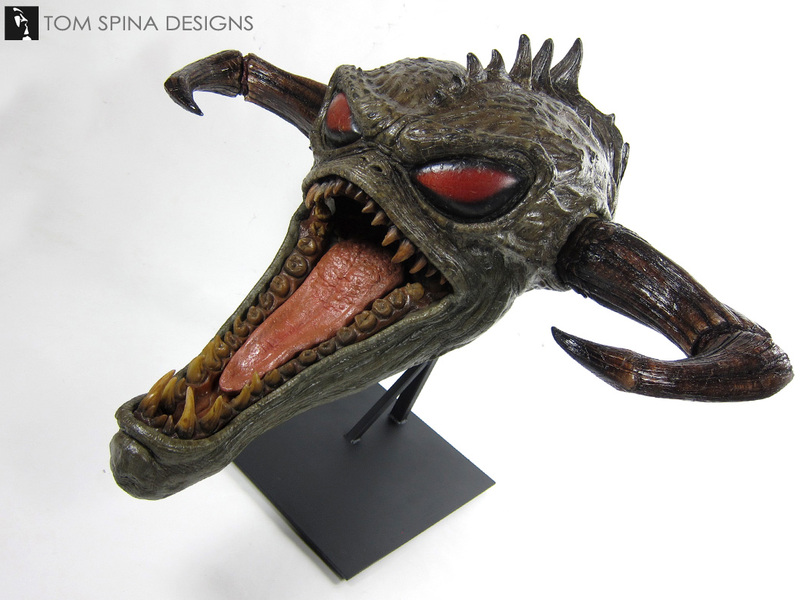 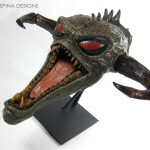 Restoring a gigantic Spawn Violator prop animatronic head from the 1997 comic book movie! 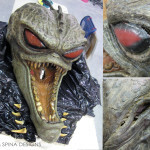 This life-sized prop Spawn Violator came to our shop from a private movie prop collector. 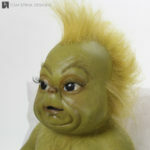 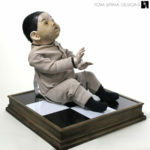 He’d kept the screen used puppet in storage for some time because its size and weight made it very challenging to display. 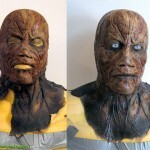 When you have a foam latex (soft, fragile material) prop with a core that’s heavy metal and fiberglass, there is always the opportunity for damaged or crushed skin. 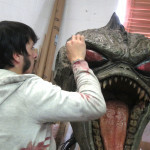 It was important to get the large movie prop on a secure stand and it also needed some careful restoration. 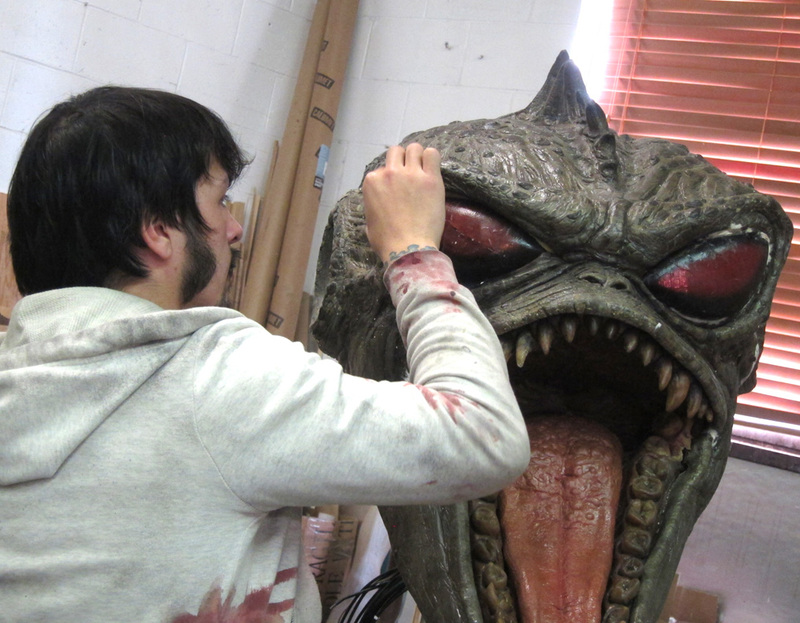 The piece was freighted to our New York studio where we restored the prop to its former gory glory! 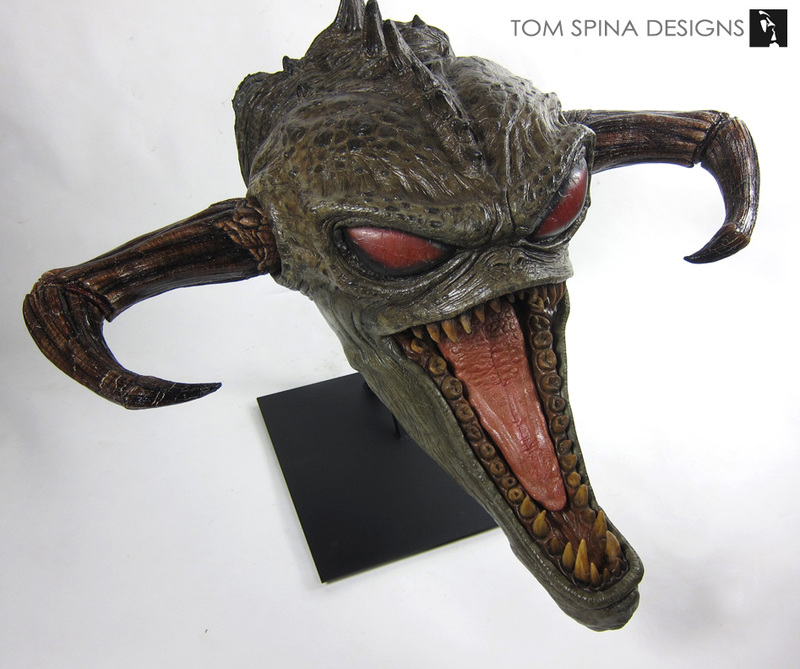 We created a custom welded display base to support the Spawn movie animatronic as the start of our preservation work. 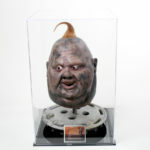 We used existing connections that originally held the heavy animatronic head on the body rig in the movie set as our means of connection to the new stand. 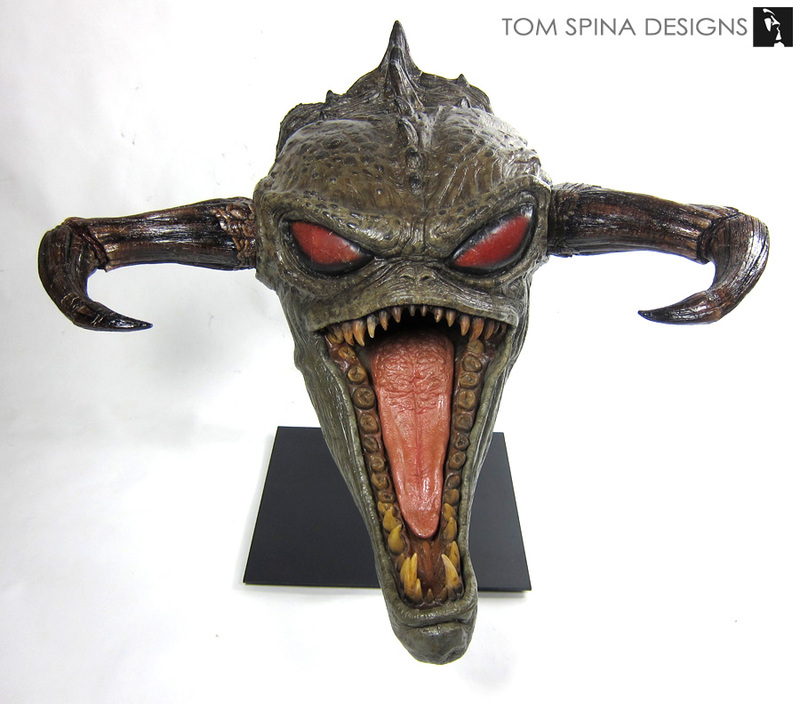 This securely held the head in place for us to work, and ultimately made for a beautiful way to display the prop. 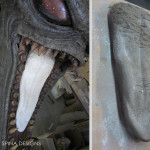 Our restoration artists attended to gaps in the foam latex around the eyes and horns as well as some larger tears in the neck and throat areas. 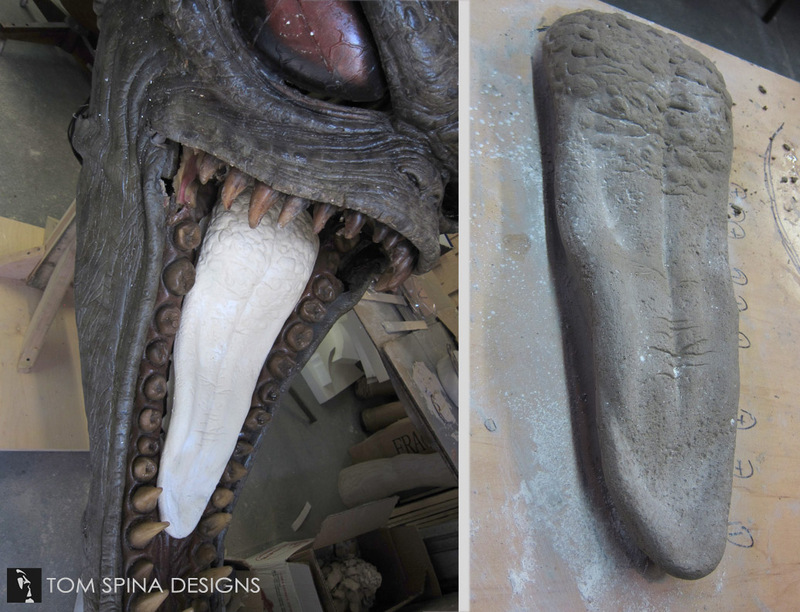 As the tongue was missing, one was sculpted in clay by our artists, then molded and cast in latex before being painted to match the screen used tongue. 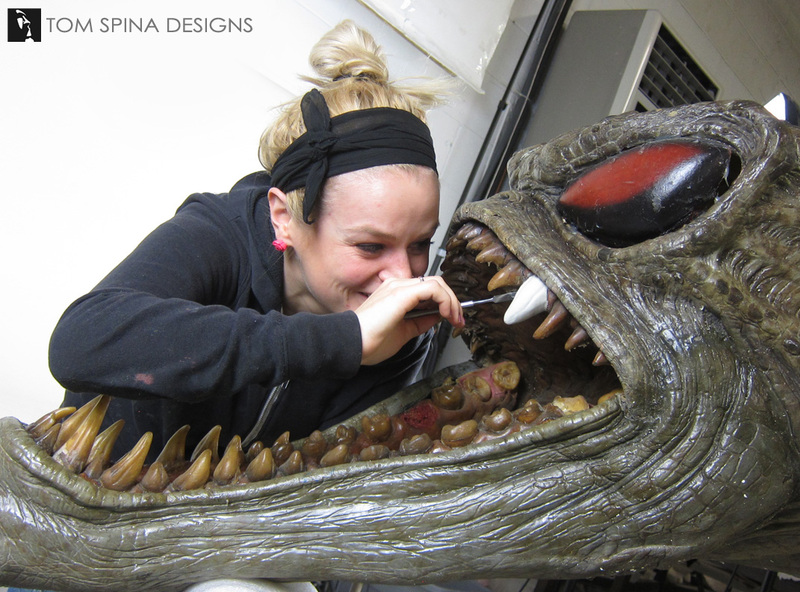 We then installed the replacement into the mouth of the prop. 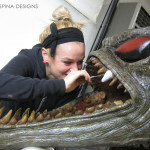 A few missing acrylic teeth were also carefully replicated and matched to the original teeth to blend in splendidly. 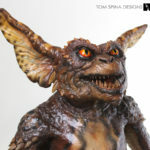 Have an original movie prop in need of restoration or display?